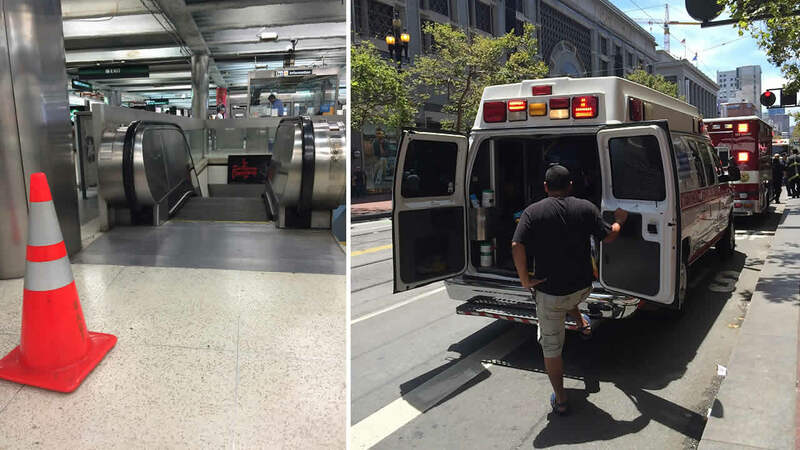 SAN FRANCISCO (KGO) -- Fire officials say four people were treated for minor injuries at the Powell BART station in San Francisco on Sunday afternoon. Authorities tell ABC7 News that a man fell backward and hit four women after the escalator going up from the platform to the concourse stopped abruptly. Four people were treated for minor injuries.